Visiting Mercersburg Academy? Let us host you! Mercersburg Academy is a private, independent college preparatory boarding school and is located just across the street from our comfortable Pennsylvania bed and breakfast. It’s so close, you won’t have to worry about being late for your scheduled tours and interviews. 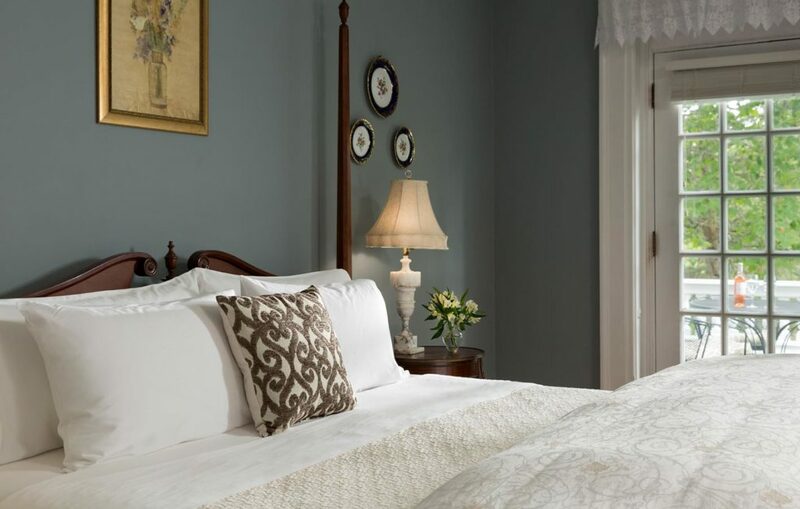 Simply have a wonderful night sleep, wake up and enjoy a full breakfast, and head over to Mercersburg Academy well-rested for a great experience. We are always ready to host students and their parents who come to the area to visit and tour Mercersburg Academy. 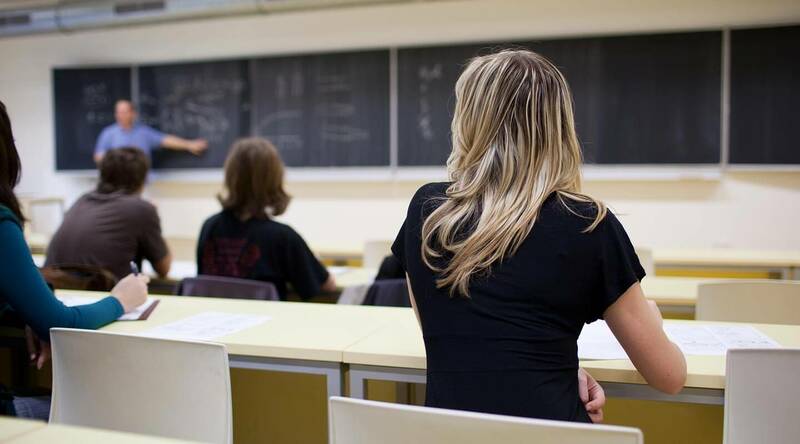 We understand that visiting a new school can be a tiring and sometimes stressful process. We make sure you have a relaxing place to stay between outings. 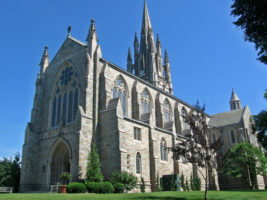 The Mercersburg Academy Chapel – In addition to the walking tour, no visit to Mercersburg would be complete without seeing the magnificent American Gothic Chapel on the campus of the Mercersburg Academy. Built between 1924 and 1926 and designed by one of America’s foremost architects, Ralph Adams Cram, the Academy Chapel contains exquisite stained glass windows and oak carvings. They bear the thistle and rose motifs as memorials to the men of Mercersburg Academy who lost their lives in World War I. Carillon recitals on the forty-nine bell carillon in Barker Tower are given weekly on Sundays at 3:00 P.M. when school is in session. 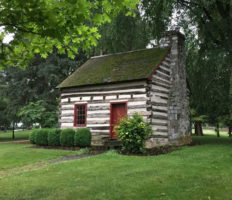 The James Buchanan Log Cabin – This log cabin was relocated to the campus of The Mercersburg Academy from nearby Stony Batter, the birthplace of James Buchanan, the fifteenth President of the United States, and the only President from Pennsylvania. Book one of our 17 rooms and enjoy a comfortable place to relax and an ideal location for a night of restful sleep that will leave you feeling refreshed. Each of our rooms includes a private bath, feather beds, free high speed Wi-Fi, and more. No matter which room you choose, you are sure to love it. When you’re done for the day, enjoy one of the many fun things to do in Mercersburg as a family. From wonderful restaurants, great shopping at the outlets, skiing in the winter, swimming and hiking in the summer, theatre productions, and more, you will never be bored! Find out more here. We are proud to be the “home away from home” for many Mercersburg Academy families. Once you choose Mercersburg Academy and your student is hard at work there, we invite you to come and stay with us while visiting your student and attending special events. We look forward to welcoming you to the family! Don’t head off to MBA with an empty stomach! First, savor a full breakfast at the inn. 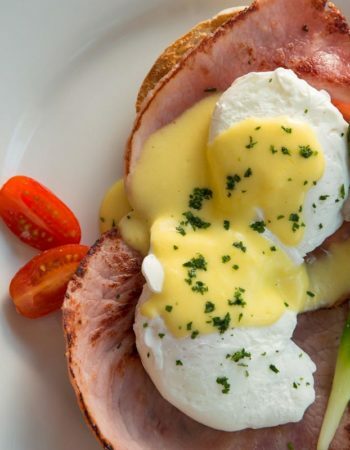 Breakfast is served daily from 8:00am to 9:30am. Some of our breakfast recipe favorites include French Bread Custard, Sour Cream Waffles, and more.